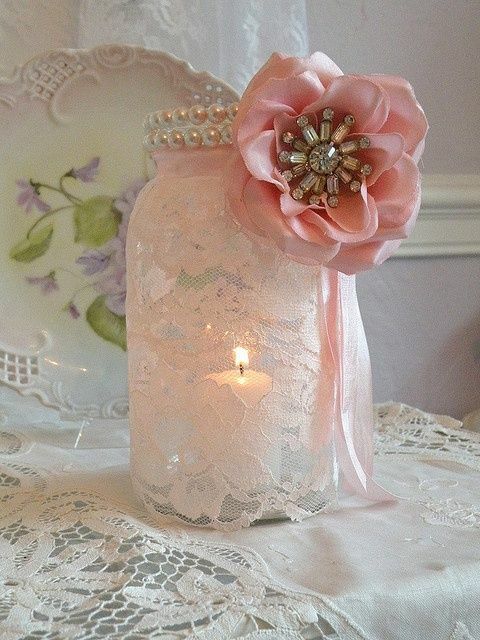 Lace and pearls themed wedding centerpieces and decorations? (Closed) Lace and pearls themed wedding centerpieces and decorations? My wedding is lace and pearls themed. Anyone have any ideas for centerpieces or other decorations? 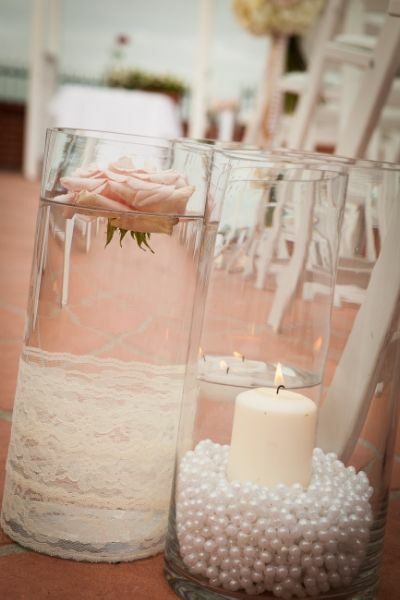 remember that you don’t have to have both elements in the centerpiece. 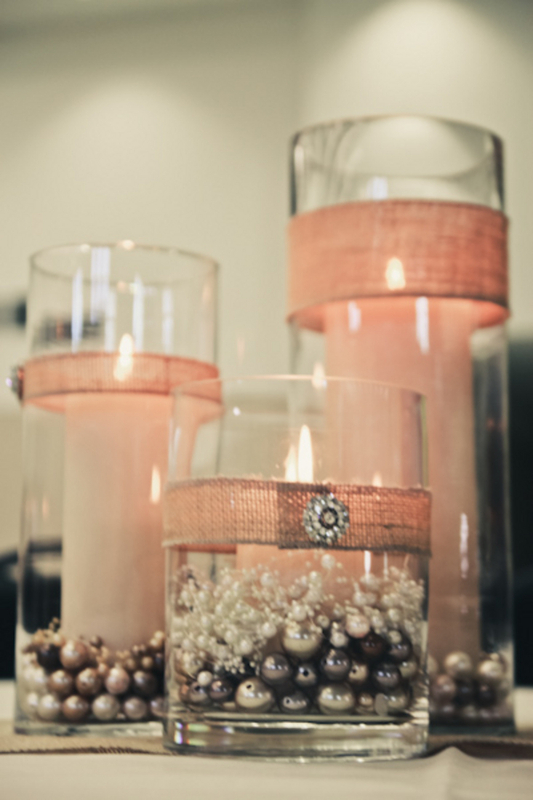 A simple centerpiece using pearls will look fabulous on a lace runner or overlay. Looking for similar ideas as well. 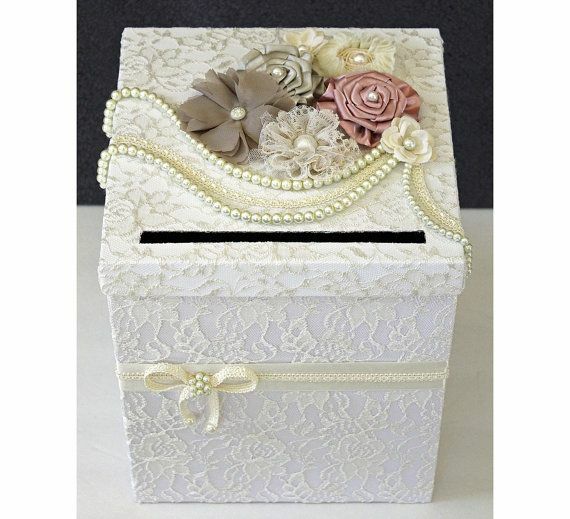 Here’s my card box that I made using blush pink lace and pearls. I loved my wedding invites… They had lace on the outside of the pocket and pearls on the inside. I ordered them from a friends etsy shop called Lovelytations and paid about $350 for 50 invites including RSVP cards and envelopes. I also made my own table numbers. I put them in frames and lined them with a string of pearls that I bought from Michael’s/AC Moore and tied a ribbon at the top for a vintage look. Also, try looking on pinterest for ideas. summery08: Do you have a picture of your table numbers? I am trying to visualize it. Were the pearls just outlining the number? I don’t have a picure… I just glued a string of pearls from the craft store onto the frame and it looked great. Then at the top on one of the corners I tied a satin ribbon into a bow. 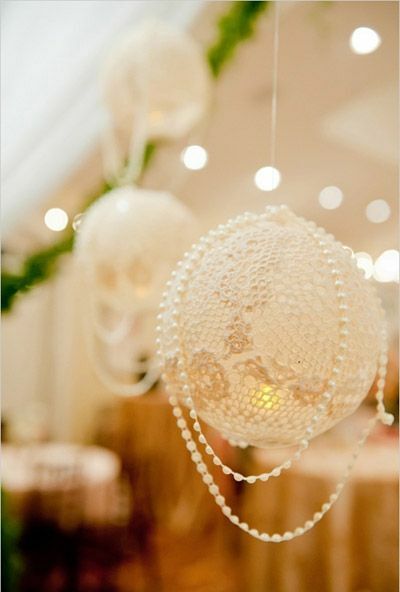 The topic ‘Lace and pearls themed wedding centerpieces and decorations?’ is closed to new replies.